The resort towns of Hue, Nha Trang and the upcoming APEC host Da Nang are likely to be hit. 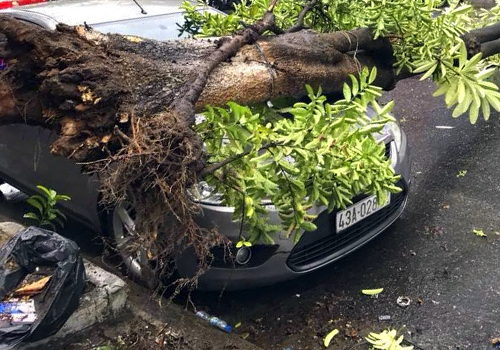 A tropical depression raging off the coast of Vietnam developed into a storm on Thursday morning, threatening to bring flooding and landslides to the central region. 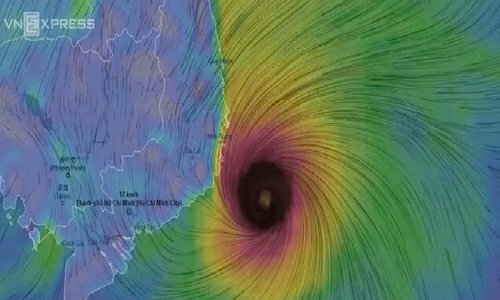 Weather forecasters said the depression from the east of the Philippines has grown into the 12th storm of the year in the South China Sea (known as the East Sea in Vietnam), with wind speeds of 75 kilometers (47 miles) per hour. Storm Damrey, as it has been named, will continue to grow in strength as it moves closer to south-central Vietnam in the coming days, forecasters said. Heavy downpours and flooding have been forecast in the region, which includes the popular resort towns of Hue, Nha Trang and Da Nang, the latter of which will be hosting world leaders next week for the APEC Summit. The Central Highlands, home to Da Lat, should also expect landslides, forecasters said. The storm's effects are also likely to be felt as far south as Saigon, and the city has already sent out an urgent message asking authorities to prepare to evacuate at-risk areas. Fishing boats and tourism hydrofoils have been ordered to stay in dock, and border guards have been instructed to keep in close contact with officials in the coastal district of Can Gio. The storm started as one of two tropical depressions that have been threatening southern Vietnam over the past few days. One of them weakened after passing the southernmost point of the country on Wednesday. Saigon and southern Vietnam are rarely troubled by stormy weather, but the memory of Typhoon Linda, which struck 20 years ago leaving more than 3,000 people dead or missing, lingers on. The storm is considered one of the worst disasters to hit Vietnam in the past century.